Our family loop-de-do through southeast Alaska covered just about every historical, cultural, and physical aspect of the “Evergreen Coast.” In two weeks of exploring five distinctly different communities, I realized how much I didn’t know about my state. 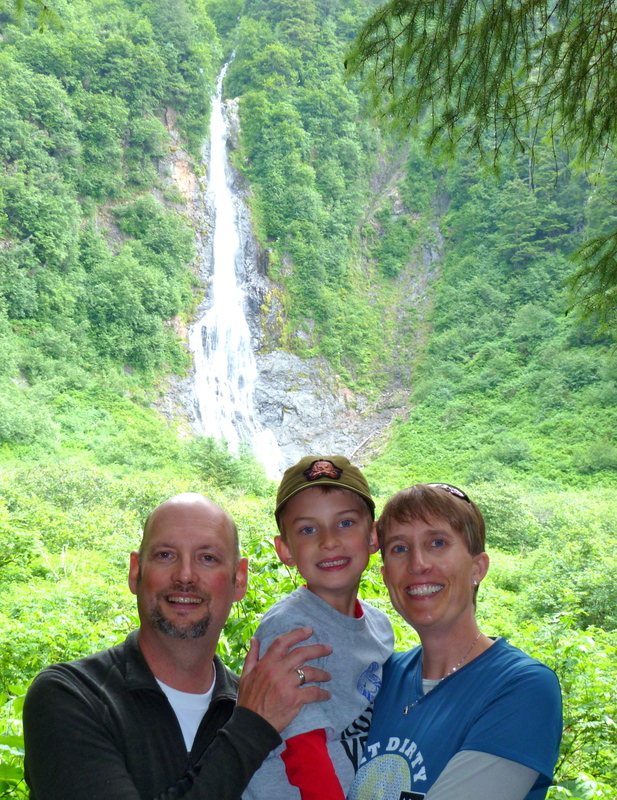 Visiting southeast Alaska via the Inside Passage as our annual family vacation was not just a fabulous recreational experience; it was a valuable educational one, too. To reinforce the ultimate value of such a trip, I must mention AK Kid’s make-believe game he and a pal invented while hanging suspended from our old swing set in the back yard. It was called “Gold Rush Pirates” and involved boats, smugglers, gold-miners, and guns. I am not making this up. Fortunately, however, Kid and his friend left out the women (whew). I promised a return to Sitka, our layover city and one of AK Fam’s favorite destinations of the whole trip. We blogged previously of Sitka’s beauty, rich history, and Native Alaskan culture. But there’s more. Much more. Sitka, as you might remember, sits on the western side of big Baranof Island and the outer coast of the Alaska panhandle. With a mere 20 miles total of roadway but way more than that in the form of trail systems (yay! ), Sitka is reachable only by water or air, which provides a certain element of mystery to that history and culture. 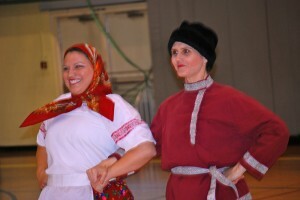 Sitka's New Archangel Dancers provide a wonderful example of the city's Russian heritage. For all our hoofing around town (Sitka is just made for walking or biking) with an active six year-old in tow, I was rather surprised at AK Kid’s enjoyment of all things culture and history. Invited to watch a performance of the New Archangel Dancers, I worried a bit at how my wiggly worm would manage to sit still for a long session of ladies in dresses gliding across a stage. Worry not, mom, for these ladies (yes, the entire troupe is entirely women, I’ll explain in a minute) were engaging, active, and the performance ended in 30 minutes. Perfect. 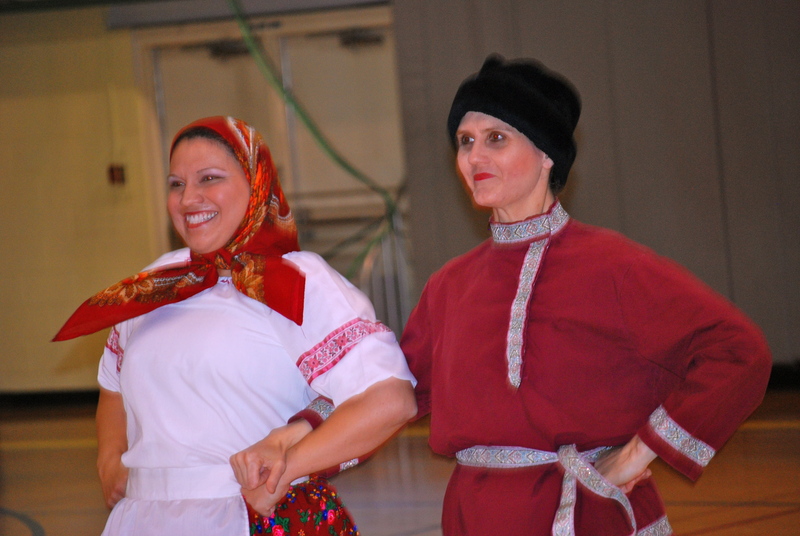 Dedicated to preserving Sitka’s Russian history by performing folk dances using authentic music, gorgeous costumes they make themselves, and a diverse choreographic template. With lots of “yips” and leaping involved, the short performances are fun, engaging, and beautiful to watch. Started back in 1969, the New Archangel Dancers originally wanted the men of Sitka to participate in this dancing tradition, but had no takers, so the ladies took charge and have been so ever since. In fact, I was told, sometimes men want to join the group but are rebuffed with a flippant “Thanks, but no thanks.” Performances are around $4 and proceeds go toward costumes, travel, and overall continuation of this wonderful group. Go see them. Appropriate for any age. 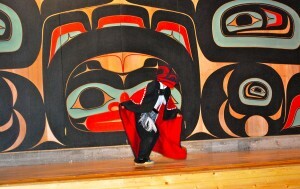 Sitka Tribal Tours and their talented dancers offer kids a look at traditions of other kids' families. 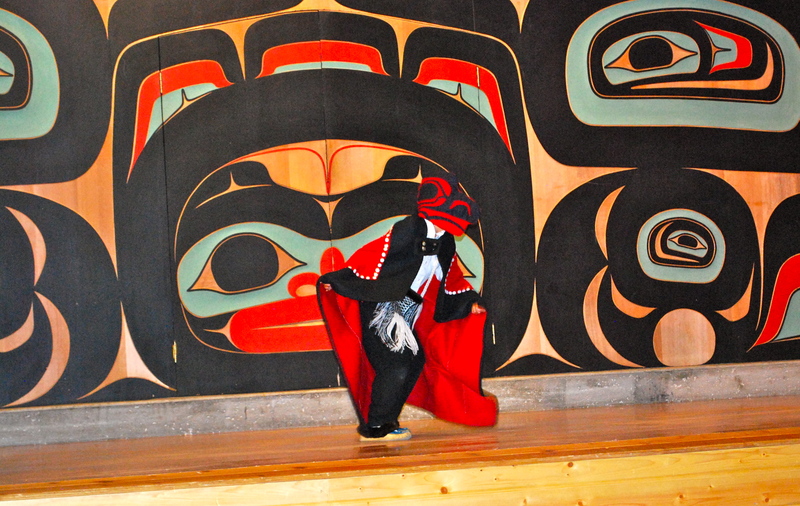 Traditional Native dancing was also a highlight of our visit to Sitka. Tribal Tours, a Tlingit-owned company in Sitka, provides a wide variety of tour options serving mainly the cruise ship passengers who have limited time on shore to investigate the city. Catching a ride at the harbor, AK Fam took a spin on their small bus for the Tlingit Culture Tour that took us to Sitka National Historic Park, the Tlingit Dance Hall, and Alaska Raptor Center in 3.5 hours. Our Native guide was friendly, honest, and quite knowledgable about her environment and people, and passed around a number of items for our inspection during the short transit times between sites. Otter pelts, sea grass, and spruce cones kept AK Kid (the only kid aboard) busy and engaged as he listened to our guide’s stories from childhood, a nice touch. In Totem Park, we heard about local plants used for medicine among the Tlingit, during the 30-minute dance portion, we watched a particularly adorable 9 year-old interpret the “Raven Dance,” and at the Alaska Raptor Center we viewed an eaglet resting in his box after a traumatic tumble from his nest. Raptors at the center are treated for a variety of medical conditions, then, if able, are taught to fly again in a large indoor flight center. We loved this woodsy center where the chatter of eagles mingled with the rush of a creek below. Tribal Tours matches interests with tours, so call for pricing and availability. 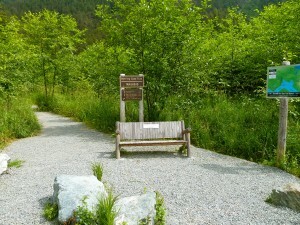 We found this a great way to see Sitka if one has limited time and/or mobility. One can also visit the Raptor Center individually as well. Admission is $12/adults, $6/kids 12 and under. Appropriate for the whole family, but I’d bring quiet activities for little ones during the bus ride. Beaver Lake trail east of Sitka is a fabulous family hike. Our final day in Sitka was filled with sunshine, the perfect scenario for a family hike. Our willing guide and Sitka CVB guest-guru, Dave Nevins, drove us east along Sawmill Creek Road to the trailhead for Beaver Lake. 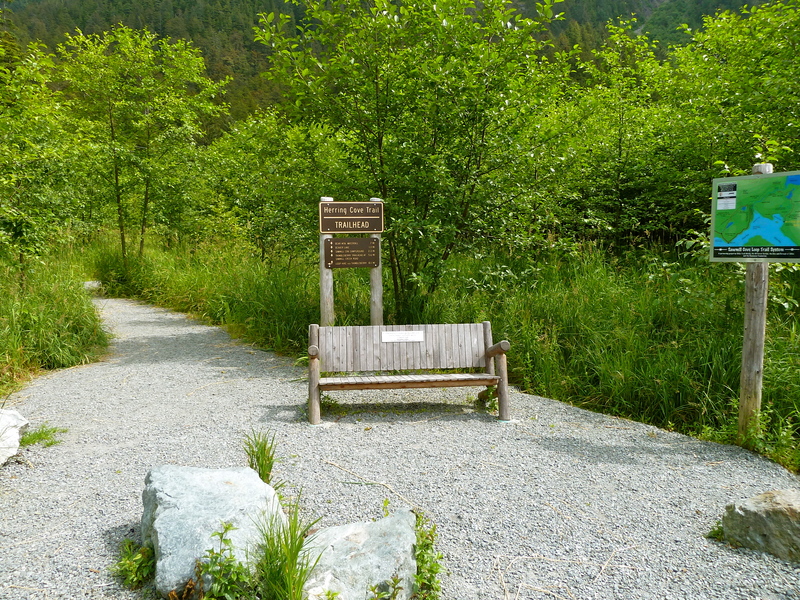 A recently-completed route, the Beaver Lake hike is a 1.3-mile trek through enormous Sitka Spruce, huckleberry, and moss (stroller and wheelchair-accessible for the first 1/4 mile or so, where a stream rushes under a beautiful log bridge). As a family hike I’d rate this one moderate for difficulty, given the number of rock steps one must ascend along the creek, but AK Kid managed with little trouble. Take a peek at the waterfalls in the distance, look for huge boulders appearing at almost every turn, and have a picnic at the lake before turning around and heading back the parking lot. It’s a quiet way to spend a few hours separated from the usual hustle and bustle of travel. On the way back to town, stop at the Fortress of the Bear, an almost-acre sanctuary for orphaned brown bears along Sawmill Creek Road. Residing in a pair of enormous cement tanks full of bear-worthy stumps, old tires, and branches for their amusement, the bears are free to roam their surroundings and amuse onlookers with their antics. Fortress’ mission is simple: to provide an enriching habitat for the bears and education for the people who visit, and it seems to be working. A staff member is always available for questions and narration, and Executive Director Les Kinnear has ambitious plans for renovation and expansion of the property. The facility also offers a small petting zoo with a few farm animals and what Nevins referred to as “The only horse in Sitka,” in a small corral. Kids can feed the critters from a bucket of vegetables (nice to forego the usual grain), but watch out for greedy sheep; they stampede right up to the fence, the buggars. 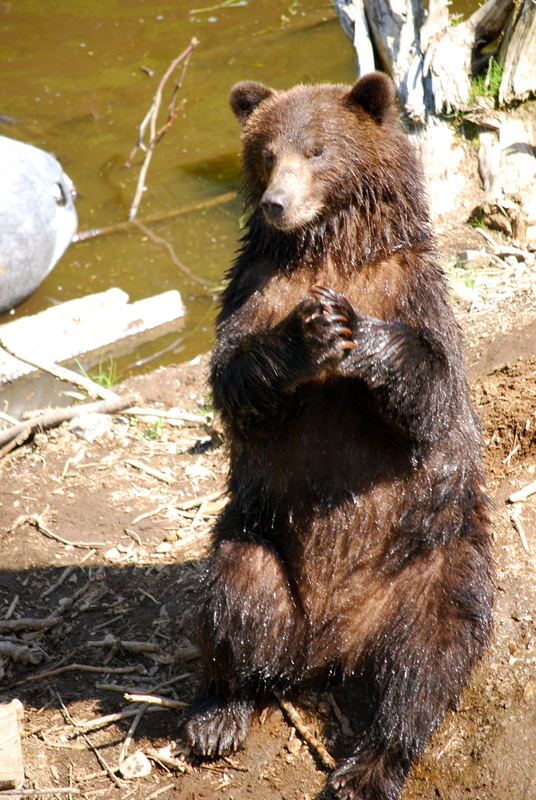 Fortress of the Bear is an admission-by-donation facility; give what you can to support the future of Alaska’s vulnerable and oft-misunderstood creature. A friend at Fortress of the Bear. "Please!" Sitka is full of family-friendliness. From active to cultural to educational, it is a wonder we ever got out of there, at all! Visit the Sitka Convention and Visitors Bureau for a complete listing of Sitka activities all year-long, and a calendar of fun family events, like the Alaska Day celebration held each October. Hmmmm, let’s see. That might be doable. Posted in Alaska Marine Highway, Miscellaneous, Southeast Alaska and tagged Sitka.